Embracing principles of the circular economy could bring a number of benefits to the built environment, according to global infrastructure services firm AECOM. Buildings are regularly stripped out and torn down, with new buildings frequently constructed from hard-won raw materials. Given the construction industry is responsible for around a third of total waste generated in the EU, the built environment is a prime candidate for applying a circular economy approach. 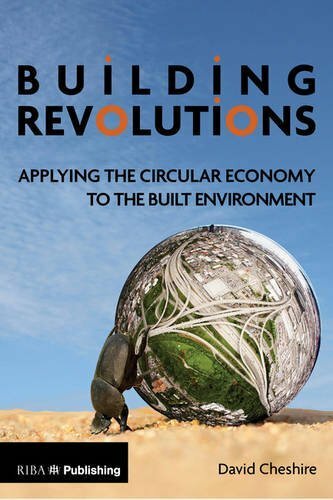 The subject is explored in a new book called Building Revolutions by David Cheshire, Sustainability Director at AECOM, published this month by RIBA Publishing. Building Revolutions outlines, for the first time, a set of circular economy principles specifically for the built environment. To date, there has been little focus on how the built environment can contribute to a circular economy, despite the cost, efficiency and environmental benefits this approach can bring. The book calls for the built environment sector to consider how circular economy principles can be applied to the design and construction of buildings. Buildings that can be adapted, reconstructed and deconstructed, and which are made from materials that can be reused or recycled, would help create a regenerative built environment. Building Revolutions argues that circular thinking means redefining waste as a resource so that materials can be kept in use and their value retained. This approach can reduce costs, protecting companies against the volatile prices associated with raw materials and providing more security of supply. 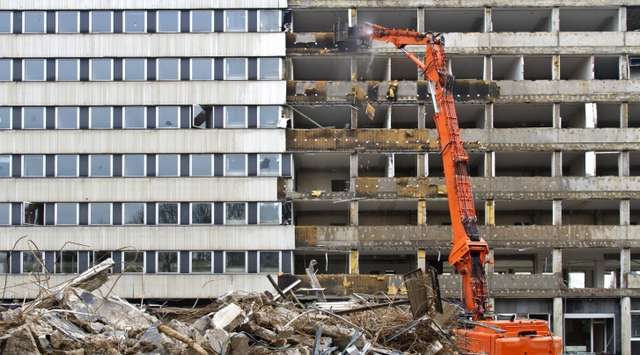 Currently, when it comes to demolition, the majority of building components are reduced to lower grade materials with lower values. Selecting materials that can be reused and recycled in their existing form will extend their life by many years. It also lowers the carbon footprint of these materials by reducing the need for energy-hungry industrial processes. Building for adaptability so that buildings can be modified for different uses is another key principle of the circular economy and a growing trend, according to the book. This approach gives building owners a flexible portfolio, helping them react to changing market needs. A building with a flexible interior within its existing envelope, for example, could be easily switched from office to hotel space if required. Adaptability also includes building for short-term uses. A rising trend of buildings that have an initial 10-year life, after which they are dismantled and reconstructed elsewhere or their materials recycled, is helping drive the circular economy. These types of buildings can have many uses, including serving as temporary extensions for schools or short-term premises on sites awaiting planning permission. According to the book, applying the circular economy approach to the built environment necessitates greater collaboration. A holistic approach to materials selection, waste reduction, resource efficiency, adaptability and design for deconstruction, will help building owners and occupiers, construction professionals and designers embrace the circular economy. Engaging with the supply chain and bringing together seemingly disparate areas of the building process will be critical to creating a regenerative built environment. The book includes illustrative methods and examples of how circular economy principles can be applied to the built environment and is available to buy here.